When you temporarily change your eating habits with the objective of losing weight, its commonly referred to as going on a “diet”. This is completely different from when you make permanent changes to your eating habits for the purposes of maintaining better overall health, based on the principles of healthy eating widely accepted and condoned by the medical community at large. “Diets” or weight loss regimes where you temporarily alter your eating habits for the purposes of weight loss (and then later revert back to your normal eating patterns once the weight is lost) commonly fall into the category of “crash diets” or “fad diets“. The problem with crash diets and fad diets is that they are a temporary solution to what for many people is a lifelong problem. Once the diet is stopped, the lost weight is usually regained quickly because crash diets and fad diets are not based on healthy behavior modification (changing how you eat to adopt healthier eating habits). Neither of these approaches to weight loss is considered healthy by the majority of medical experts, dieticians and nutritionists. They deprive the body of the necessary nutrition and energy (calories) it needs to function well. They lack major nutrients, such as dietary fiber and carbohydrates, as well as the correct vitamins, minerals, and protective phytochemicals. By not receiving the proper amounts of these nutrients, you can develop serious health problems, either now or later in life. You tend to feel weak and hungry all the time because you haven’t taken in enough nutrients to provide your body with the energy it needs, which causes the additional effect of increasing your levels of the hormone ghrelin (which automatically occurs when your body senses it is “in starvation mode”). This hormone revs up your appetite and makes you want to eat everything in site, creating a vicious cycle. Blood sugar levels are often negatively impacted by crash dieting or fad diets since these diets often involve going for too long without adequate food intake; this can trigger ongoing problems with blood sugar regulation or insulin resistance, which can result in serious health complications. 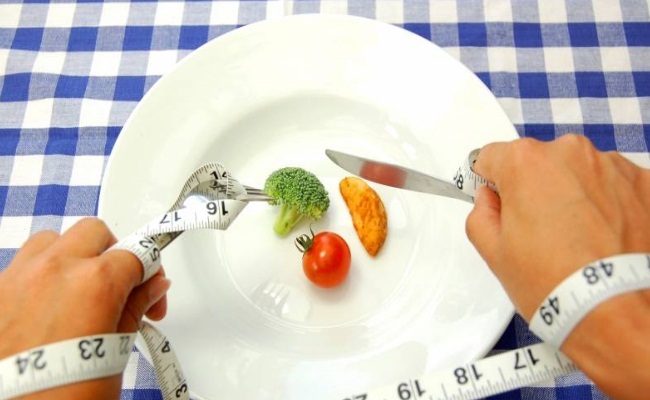 Let’s get a better understanding on what is meant by the terms “crash diet” and “fad diet”. A “fad diet” is a diet that gains rapid and widespread popularity, based on promises of rapid weight loss or other health benefits, often without being backed by solid science, and in many cases is characterized by highly restrictive or unusual food choices. The Cleveland Clinic tells us that fad diets are frequently characterized by eliminating certain foods that contain important nutrients – or often entire food groups that supply necessary nutrients. Some “crash diets”, which we’ll talk about in a moment, also fall into the category of “fad diets”. The two concepts have some overlap, but are not the same as you’ll come to understand shortly. An example of a fad diet would be a “No Carb” diet which eliminates all forms of carbohydrates (an important nutrient), or a diet that focuses primarily on eating a particular food, like the “Grapefruit Diet” or the “Cabbage Soup Diet”. Some diets involve eliminating certain foods at specific times of the day. Others allow you certain foods, but you must eat them only with certain other foods. Claims that sound too good to be true (Ex: lose 27 pounds in 7 days; or, lose weight eating only cookies). Recommendations based on studies published without peer review. Elimination of one or more of the five food groups (fruits, vegetables, grains, protein foods, and dairy). Dieticians and nutritionists consider a “crash diet” to be a weight-loss diet undertaken with the aim of achieving very rapid results. (Many crash diets are also fad diets). Medical professionals and nutritionists rarely condone this type of weight loss program. “Crash diets” can be unhealthy or even dangerous, in a variety of ways. Crash diets and fad diets often lack major nutrients, such as dietary fiber and carbohydrates, as well as selected vitamins, minerals, and protective phytochemicals. By not receiving the proper amounts of these nutrients, you can develop serious health complications. As for the food groups that these diets do permit, the amounts tend to be either well above or well below those recommended by major health organizations like the American Heart Association, American Diabetes Association, and the Academy of Nutrition and Dietetics — as well as the Surgeon General and the United States Department of Agriculture. 1) the weight is usually regained shortly after the diet is stopped. 2) most crash or fad diets are unhealthy because they rely on below optimal levels daily calorie intake to maintain health, they fail to meet proper daily nutrition requirements, and/or they may eliminate entire food groups which completely contradicts what is widely considered to be a requirement of a balanced nutrtional program. The Journal of the American Psychological Association reported on a study conducted by UCLA medical school that most people will gain back the weight they lose when they go on a “diet”. Worse yet, the study showed that the majority of people actually gained back more weight than they lost after stopping the diet. So “dieting” ultimately had a negative effect. “Sustained weight loss was found only in a small minority of participants, while complete weight regain was found in the majority. Diets do not lead to sustained weight loss or health benefits for the majority of people”, said Traci Mann, UCLA associate professor of psychology and lead author of the study. A crash diet is essentially a very restrictive meal plan that’s unsustainable for the long term, says Darcy Johannsen, Ph.D., R.D., assistant professor at Pennington Biomedical Research Center. It’s usually about severely restricting your calories — like cutting back to 1,000 or even as low as 500 calories per day. The length of time differs from diet to diet, but they always last for a temporary period of time as opposed to being a permanent lifestyle change based on adopting healthier eating habits. Crash diets can wreak havoc on your body, by slowing your metabolism (which is the opposite of what you want if you have weight issues) and failing to supply the required nutritional intake to maintain good health. When you limit calories, or go long periods of time without eating, your body goes into starvation mode and your metabolic rate plummets. Your body isn’t sure when it’s going to get fed again, so it does everything it can to conserve energy. That means it slows the calorie burning mechanism to “save fuel” (you burn fewer calories doing normal activities like digesting, standing, walking -and instead of burning fat, your body hangs onto the fat so it can store it as a source of future fuel. At the same time, you lack energy because of insufficient caloric and nutritional intake, so you slow down and move less, which causes your metabolism and ability to burn calories to slow down even more, creating somewhat of a vicious cycle. When you stop burning your fat as fuel, as described above, you burn muscle instead. In the first few weeks of your crash diet (which is about how long they last), about half of the fuel you’re burning comes Muscle, instead of the fat you are trying to burn. Medical practioners all agree this is the case, as Darcy Johannsen, Ph.D., R.D., assistant professor at Pennington Biomedical Research Center tells us. On most crash diets, it’s hard to ensure that you’re getting enough protein, fiber, amino acids, calcium, iron, vitamin B12, and all that other good stuff that your body needs on a daily basis. Without these, lots of things can suffer — like your bones, cognitive function, blood cells, and more, says Johannsen. Moreover, when people go on crash diets, the decreased caloric intake and absense of proper nutrient levels cause changes in the neural networks and brain activity that cause irritability, explains Dr. Johannsen. Mental and physical fatigue often also results because of decreases in thyroid hormone levels and epinephrine (the hormone and neurotransmitter better known as adrenaline), triggered by the dieting process. This can make you feel colder all the time, slow down your heart rate, or produce a drop in blood pressure that could even cause you to pass out. That’s why people sometimes faint when they are on a restrictive crash diet or fad diet. Once you stop the diet, the weight typically comes right back. This could be related to your levels of the hormone leptin, which drop when you lose a lot of weight in a short period of time. A larger decline in leptin levels is associated with regaining the weight back, says Johannsen.